NEW HVAC AND NEW COUNTERTOPS, NEW CARPET, NEW VINYL FRESH PAINT - Privacy galore - this home sits on 5+ acres and is surrounded by trees - large level area where home sits - home is recently refurbished with new carpet, new vinyl,fresh paint. 3 bedroom 2 bath split bedroom home with large living room / dining room combo and huge eat in kitchen with center island & breakfast nook. Large master bedroom with en-suite bathroom with tub, walk in shower, double vanities and additional room - could be nursery or office. 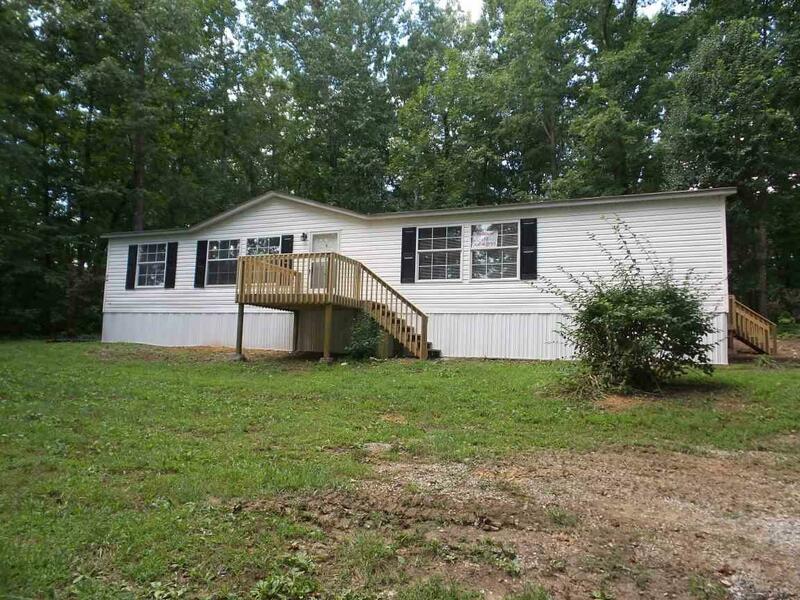 2 additional bedrooms and guest bathroom - Close to interstate exit on I75 for easy access - possible seller financing available property qualifies for 100% THDA and VA financing and also 96.5% FHA financing. Listing provided courtesy of Melanie Sims of New Creation Real Estate.